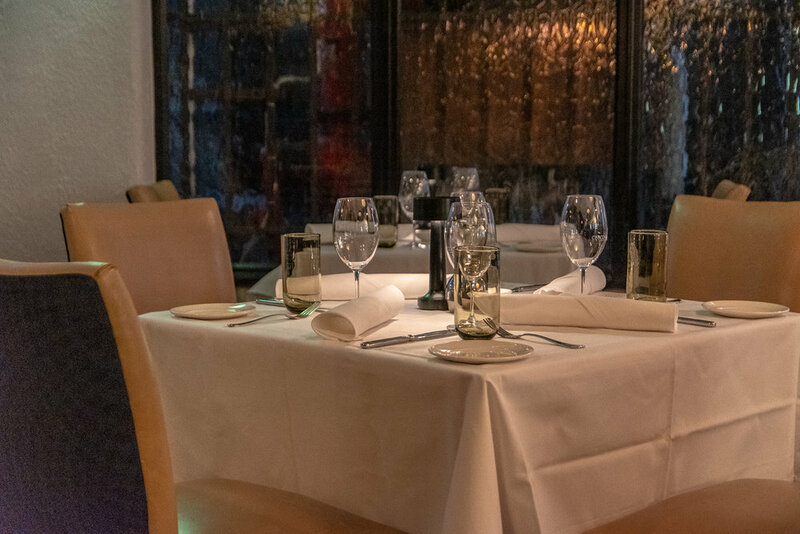 At the pass, head chef Maurice Esposito is charged with the responsibility of maintaining its esteemed reputation. Formerly of Esposito at Toofeys, II Baccaro and Sarti, Stokehouse and The European, Esposito is a culinary wizard whose passion for food is evident in everything that is presented from his kitchen. The latest Cecconi’s menu, exudes elegance and simplicity and looks to secure the restaurant’s place in the upper echelon of Melbourne’s culinary institutions. 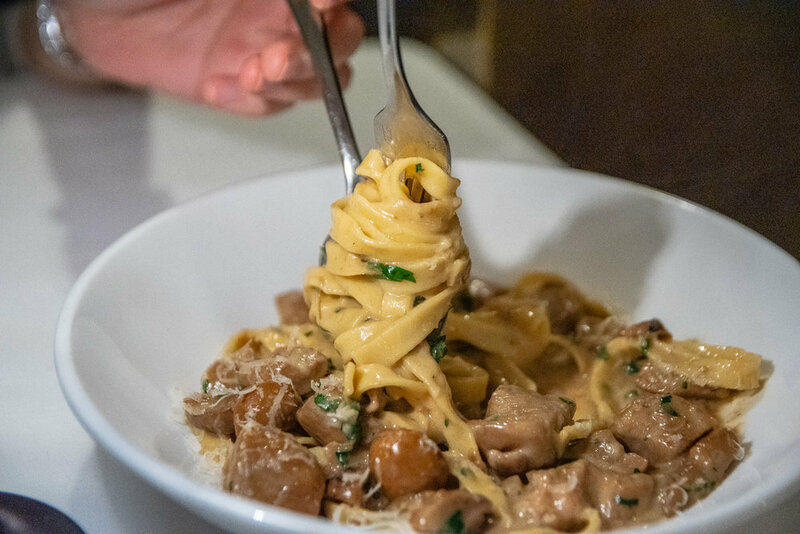 We were pleased to indulge in their latest menu which showcased revitalized Italian classics in a contemporary style following the La Cucina rivisitata movement in Italy which acknowledges the simplicity of the flavour combinations to be the focal point. To start we adored the crispy zucchini flowers stuffed with baked ricotta, lemon zest, shaved pecorino and chives. We loved that the batter was ethereally light and wonderfully crisp. The dish of seared scallops was another stunner. Plump, sweet and served with a refreshing cucumber and green apple. Crispy grilled quail graced our presence next. 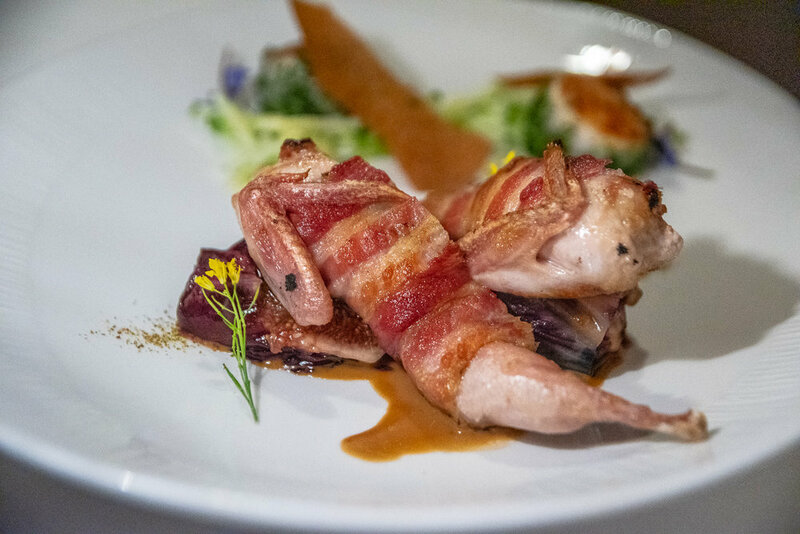 The quail was cooked to a rarely found perfection and had been wrapped in pancetta and served with sweet figs. A visit to Cecconi's would of course be incomplete without a plate of their stunning pasta. The house-made tagliatelle was beautiful. Al-dente ribbons of pasta were tossed with a flavoursome porcini mushroom ragu that had been cooked down with white wine and sage. Beliissimo! For mains, the roasted lamb loin impressed. The lamb was cooked to perfection - crispy skin with the underlying meat wonderfully tender, allowing its natural rich flavours to shine through. 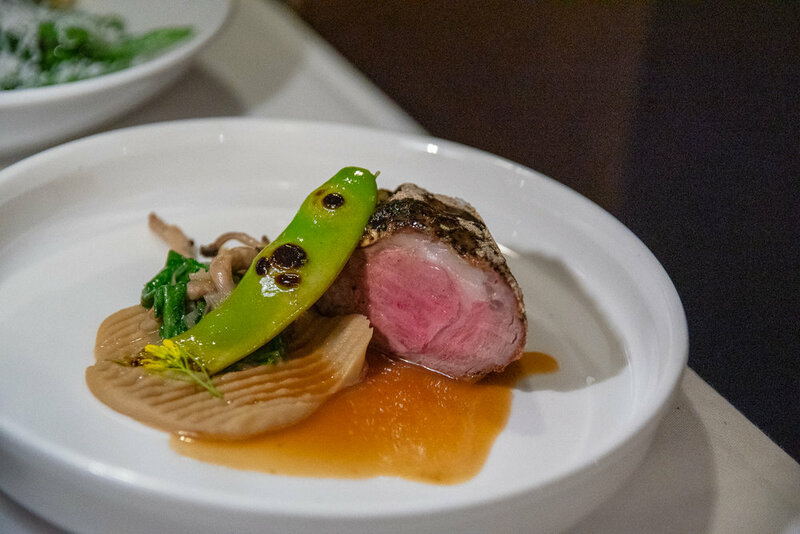 Luxurious chestnut puree, pickled flat beans and rich jus provided the crowning elements to this luxurious dish. It was beautiful. A wonderful trio of desserts concluded our evening. 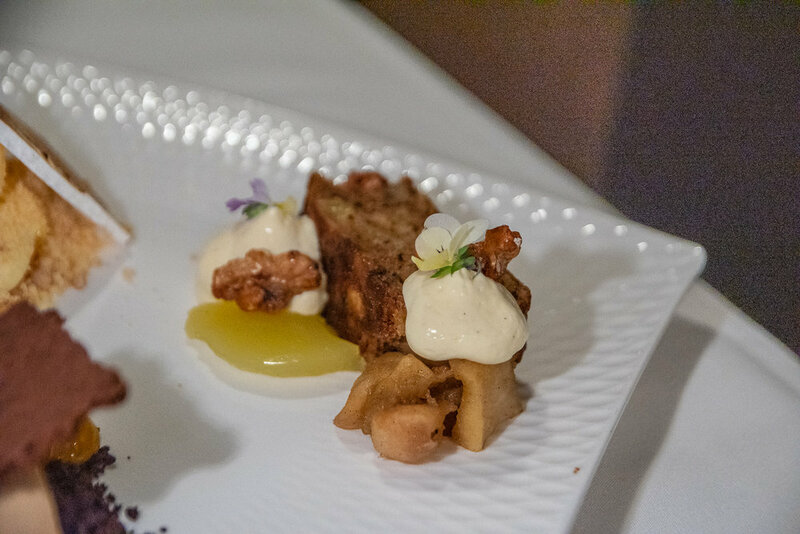 Gianduja parfait, apple torta and a cheeky version of a deconstructed lemon meringue pie were each sensational. More than 12 years on, Cecconi's continues to be one of the city's most attractive propositions and we cannot wait to return.